Brighton has a beach, a disposition for pleasure and the sun (ok, so not the sun). The only other thing missing is some decent gelato and, as London is seeing gelaterias popping up willy-nilly, Brighton hasn't had so much as a sniff of the action. That is until now. 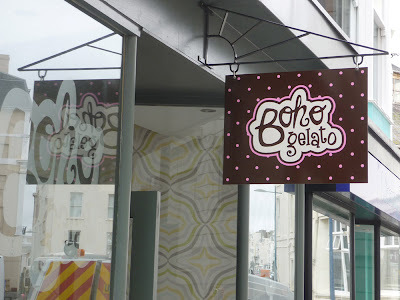 The beginning of July saw Boho Gelato opening in the Pool Valley area in Brighton (not a valley at all, a coach station) to the rejoice of the Brightonians. There are 24 daily-changing flavours including some familiars (pistachio, vanilla...) and some not so familiars (avocado, carrot cake, brown bread, black sesame, pink champagne…). 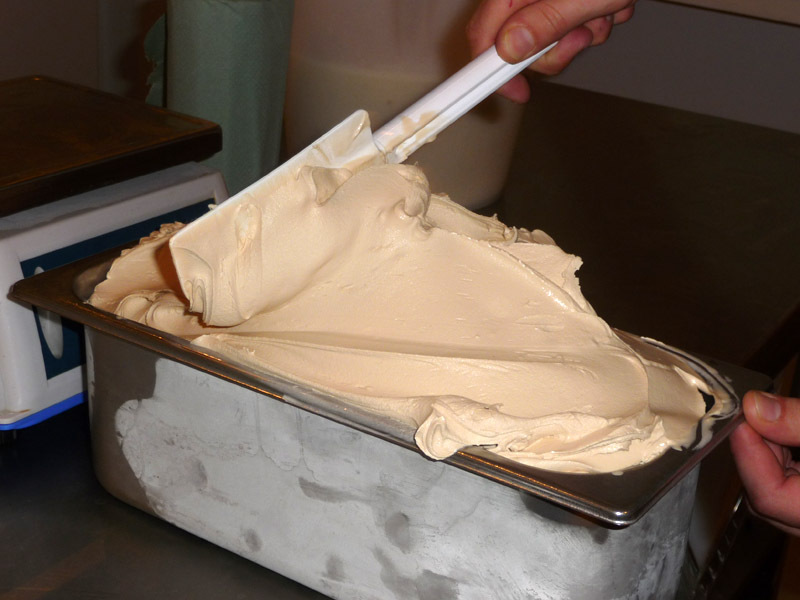 A massive USP is that the gelato here is made using local Sussex non-homogenised milk in a state-of-the-art vertical gelato machine. 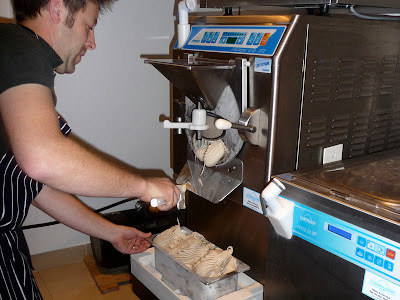 The other USP is the infectiously enthusiastic (like really, really so) owner, Seb Cole, who fell in love with gelato on frequent business trips to Rome in his previous employment working for an Italian printer. His original plan was to open a pizza al taglio (heck - Brighton needs one of those too!) 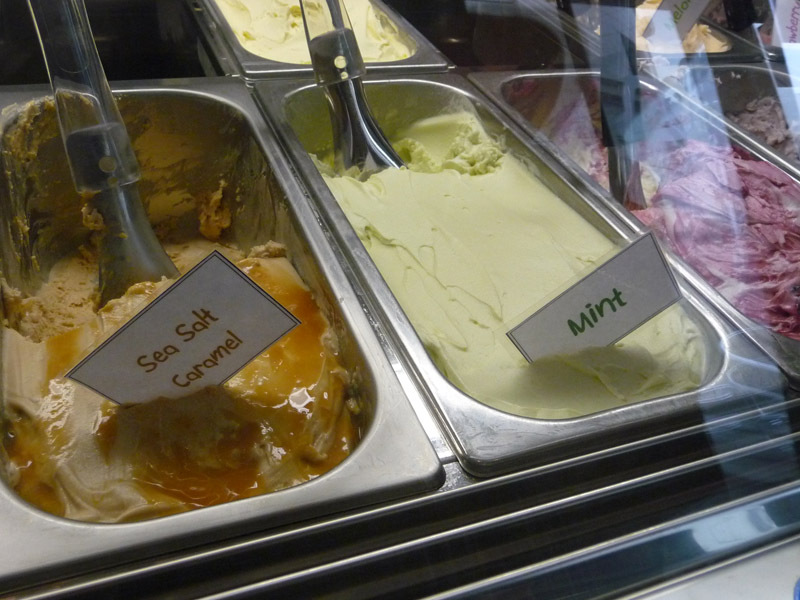 but his sweet tooth and love of flavour creations brought him to gelato. And jolly happy I am that he did. The current house favourite is the amarena cherry, but with little tastings happily offered, I can imagine people will go for the braver flavours. Seb has also created flavours for local restaurants (a local thai restaurant has lemongrass and a poppy seed flavour on order) and will craft flavours for special Brighton events. Bespoke gelato can also be created for enjoying at home with a minimum order of 3.5 litres (I think from memory). Now that would be a brilliant birthday gift for a special someone (read me), no? Whilst I was there, an unusual liquorice flavour was just coming out of the machine. I love liquorice so this was right up my street and worth waiting for. The texture was so soft, silky and smooth, having just been prepared, it was absolute heaven and just the right amount of sweetness to balance the bitterness of the liquorice. I also sampled the avocado flavour which was surprisingly light and would make a delicious twist on the classic prawn cocktail for a starter. 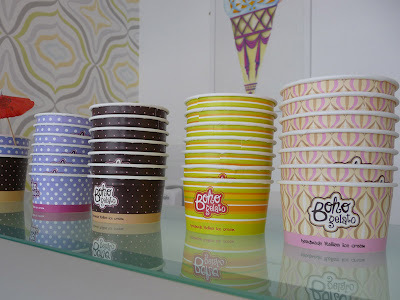 You can get the gelato to take away in handy polystyrene containers so excellent for dinner parties (or just gorging on at home). The brown bread flavour was very comforting and, as Seb suggested, could be converted to a perfect autumnal flavour with plum or apple, forming a kind of iced crumble, proving that gelato is not just for summer! 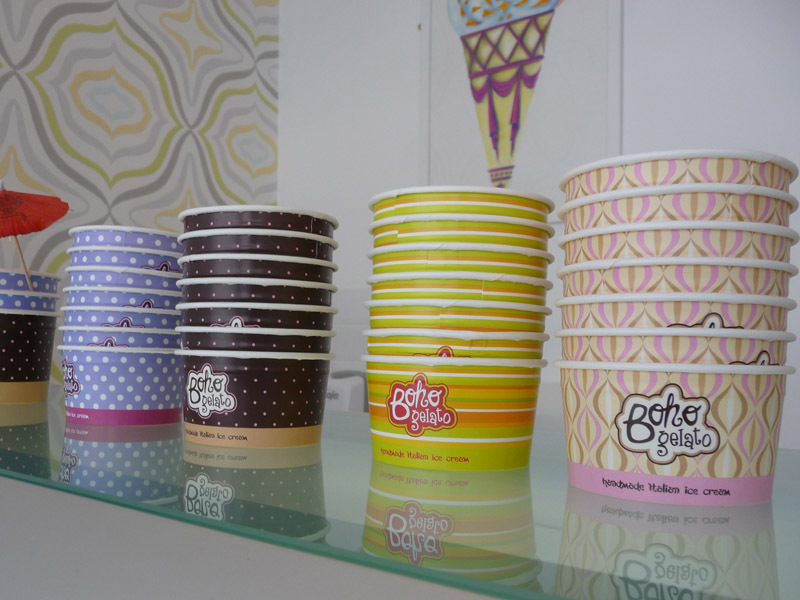 Also worth a mention is the branding and the design of all the cups, which have been designed to match certain flavours (and you know I love that sort of attention to detail). The interior, with just a few tables and chairs, has been nicely considered and would attract adults and children alike. Pool Valley was formerly a bit of a crummy area but today you'll find a fashion boutique, an exclusive handmade shoe shop and (an old favourite of mine) The Mock Turtle tea rooms. Boho Gelato, with its colourful facade brings the street up yet another notch. Hope to see them next year on Brighton beach with a mobile gelato unit. Until then, they'll be seeing my face a lot!